Taking care of the gums or the gingiva constitute the first important step towards healthy teeth and sound oral hygiene. It is possible to assess the overall health of an individual by looking at the oral cavity. Certain systemic diseases can be prevented by maintaining a clean and healthy mouth. Research has proved that gum diseases put a person at a higher risk of being afflicted by heart disease, diabetes, stroke and chronic kidney disease. The gums are an integral part of the oral cavity and proper gum care is of utmost importance, as, it is the gums that hold the teeth together in place. The gums seal the teeth firmly and healthy gums are the foundation for strong and healthy teeth. Maintaining a healthy dental oral hygiene routine is a must, and importance should be given to the gums as well, and not just the teeth. Texture: Healthy gums are firm and offer resistance to unnecessary movement. It is possible to identify unhealthy gums when there are aberrations such as swelling along the gum line or when the gums seem puffy and mushy. Contour: Healthy gums are usually smooth and present a slightly arcuate appearance. They fit in the inter-dental spaces perfectly leaving no gaps, as in periodontitis. 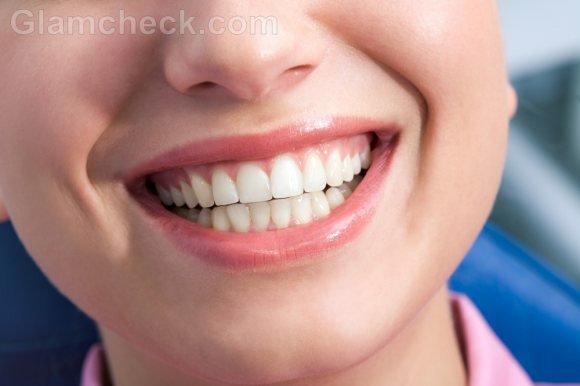 Also, the gums lie perfectly along the gum line and normally there are no swelling, but are the case in gingivitis. Reaction when disturbed: Normal gums do not react to the mild abrasions caused due to brushing. However, unhealthy gums can be extra sensitive and may bleed even at the slightest of disturbances not being able to tolerate even the customary morning brush. It is important to be careful as to what we put in our mouth as this affects directly, the quality of the teeth as well as the gums in the oral cavity. Certain food stuff can cause damage to the gums over time and hence should be consumed in moderation. Sweets and sugar based confectioneries are harmful not just for the teeth, but for the gums as well. It is important to rinse the mouth thoroughly after consuming such items to prevent any damage to the teeth as well as the gums. Highly acidic food cause a tip in the oral pH balance and may pave the way to gum as well as teeth problems. It is a known fact that tobacco chewing and smoking can cause deep stains on the surface of the teeth. Tobacco has deleterious effects of the gums as well. Smoking increases the risk of several gum related diseases and also tooth loss due to debilitated gums. Tobacco has the ability to damage the gingiva and may result in the gums receding and thereby exposing the sensitive portions of the tooth. And this is how unhealthy gums result in tooth problems and receding gums may pave the way for full fledged tooth decay, which may be beyond repair if left untreated for a prolonged period. Periodontitis: This refers to an array of inflammatory diseases that affect the gums. If left uncared for, it might result in loosening of teeth and in the worst case, loss of teeth. Sometimes ulceration of the gingiva may also be observed. Most periodontal diseases result in recurrent swelling of the gums. Teeth may also appear longer, and this is due to the recession of the gingiva. Gingivitis: This is one of the most common gum problems and is a non destructive form of periodontal disease where the gum tissue is inflamed and may be caused due to various factors such as persistent plaque and those that are caused by bacteria or virus as well as fungal gingivitis. 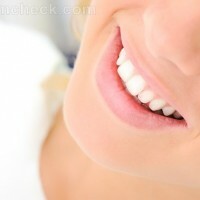 Gums tend to become very sensitive and tender also present a swollen appearance. Canker sores on the gums: Smoking and tobacco use are known to result in, and aggravate canker sores. These, however, do not persist for long but can recur from time to time. Stick to the daily Brushing-Flossing routine. Use soft bristled toothbrushes as they are gentler on the gums and do not cause abrasions. Flossing helps remove the leftover food particles that may be lodged in the inter-dental spaces. Inter dental brushes may also be used if flossing is not very comfortable. Water flossers such as Waterpik are available in the market which helps keep the gums clean and healthy. Here, water is streamed as a pressurized high velocity jet between the teeth to ensure better plaque removal. Also, these water flossers stimulate and massage the gums resulting in improved circulation and stronger gums. Water flossers are the best option for persons with braces, crowns and other orthodontic fixtures. Apart from brushing and flossing, it is essential to massage the gums regularly, preferably every day. Essential oils may be used to massage the gums lightly to soothe them and improve circulation. If finding these oils is too much of a trouble, massaging the gums soon after brushing when it is still wet is equally effective in improving circulation. Hydrogen Peroxide is beneficial for gums and help in preventing gingivitis. 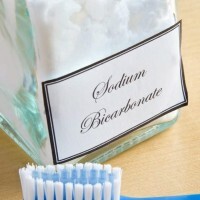 It can be concocted into a mouthwash by mixing it with baking soda, salt and a little peppermint flavoring. Mouthwashes have anti bacterial properties and help alkalinizing the gums to discourage bacterial activity. Chlorhexidine based mouthwashes are recommended for treating gum problems. Folic Acid is known to heal diseases of the gum and can be used in the form of mouthwash to treat persisting gum problems. Gargling with warm salt water also has positive effects on the gums. Green Tea is known to possess anti bacterial properties and helps reduce fermentation. Green tea also freshens up the breath in addition to protecting gums. Consuming food that stimulates the secretion of saliva is recommended to keep the oral cavity cleansed. Saliva helps neutralize the oral cavity, keeps the oral cavity lubricated and massages the gums. Drink lot of water to keep the mouth hydrated and clean from germs and harmful bacteria. Bleeding gums may be caused during to insufficient Vitamin C intake. Consume fruits and food items are rich in Vitamin C.
Vitamins in general are essential to maintain the health of various body tissues and when it comes to gum care, Vitamin B is very important for healthy gums. Folic acid is crucial for keeping the gum tissue healthy and promoting gum cell growth. Certain prescription drugs may cause severe irritation and result in damage to the gums. It is best to report any such side effects of the medication to the physician and get the drug replaced. Apart from this, it is very important to visit the dentist at least twice a year to assess the health of your oral cavity as a whole, gums included, and not just the teeth. 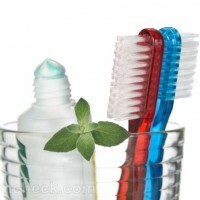 Good oral hygiene should never be compromised on as it the doorway to healthy teeth and gums. The healthy gums are best reflection of the overall dental oral hygiene of any individual and this has significant bearing even on the general well being.